Green Industries is a wholesale distribution company based in Netherlands, Europe since 2016. It was created by our passion for the Cannabis plant and for a healthy lifestyle. 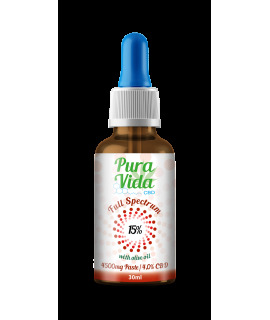 Pura Vida CBD is our own brand of CBD and Hemp products, all raw and organic, hand-made here in Europe. Here you can buy CBD Oil, CBD Balm, CBD Tea, CBD Honey, CBD RAW Extract. We represent unique and innovative brands and their products, here to make your life easier. We are proud to carry the world's only Dry Trimming machine, from GreenBoz Inc. The prefect solution for all your harvesting needs. The best trim-bin on the market, TrimBin from Harvest More, made in California! The Scientific 710 Terpene Trap - no dry ice, no recirculating chiller - easy and effective. Problem with Spider-Mites? We have the solution, a non-spraying solution based on Garlic and Soya. It is the Ultimate Spider Mites Repellent: ROGIS GARLIC. REMO Nutrients is the nutrients brand we believe in, it is the only brand of nutrient carried by a real grower, and a great man. Big Up REMO! Follow him on Youtube, the videos speak for themselves!! Easy to use and really efficient 7 bottles nutrients range.